On Thursday it was time to move on. We had thunderstorms and a power outage the night before and since we were in no hurry to get on the road, it was after noon before we finally pulled out of O'Leno State Park. We were headed to an area called the "Forgotten Coast". After my last post you might think that I forgot where we were headed, but it really is called that. This corner of the panhandle covers the area from the little town of Panacea on the east to Port St. Joe on the west. It got it's name in the mid 90's when a tourism group "forgot" to include information about this area on their map. This prompted a local group to create their own brochure and they coined the phrase "forgotten coast". This area also holds special meaning to us as we came through this area on our boat many years ago. We remember making a mail stop in the little town of Carabelle, so it is only fitting that we have chosen to make this area our base for the next couple of weeks. I would describe this area as a little scruffy around the edges, but that's what makes it special and unique. 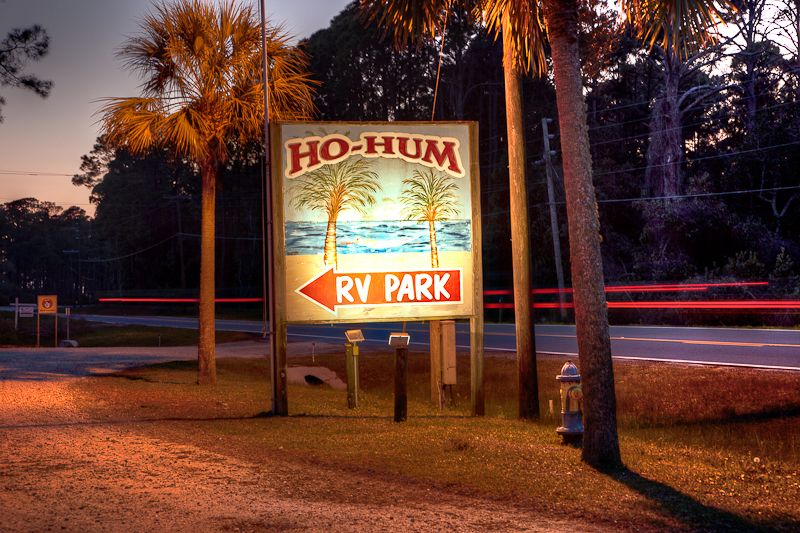 We are currently staying at the Ho Hum RV park right on the water, a quiet little park with a long fishing dock. 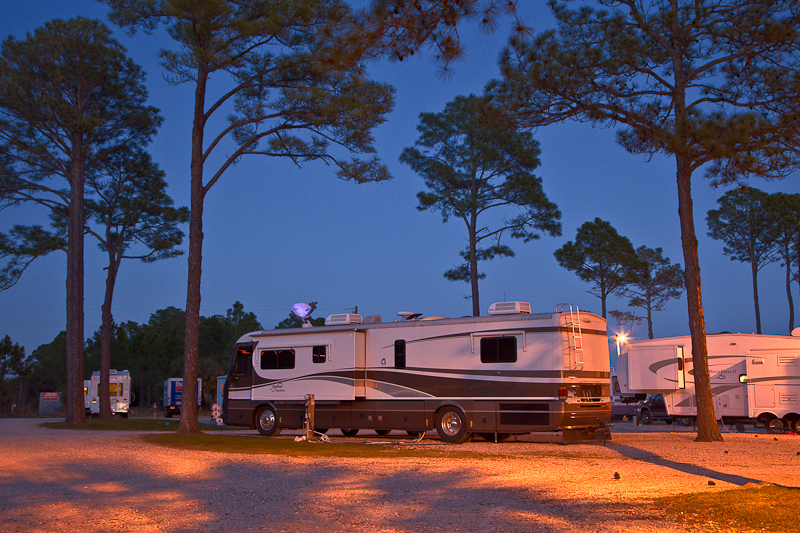 Our site is a little close to the road but we will be moving to a water front spot on Monday. 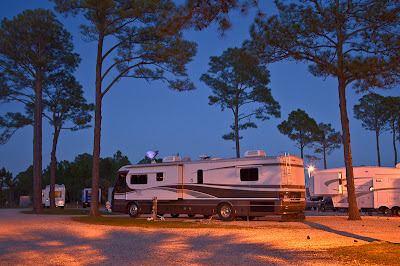 We had read about this park on Laurie and Odel's blog and their great RV park reviews. It sure is nice to read reviews by other full-timers. My next post will be about our visit to an authentic Oyster Bar. I were a little worried about you when ya started up about the power being out with you still a watchin' Leno and all. But I am really a lookin' forward to yer writin' bout an authentic Oyster Bar. I ain't never been to one of them and is lookin' forward to yer quality photos of them oyster barmaids, either on the half shell or completely shucked. Does yer kids know you is a goin' a be postin' photos like that? 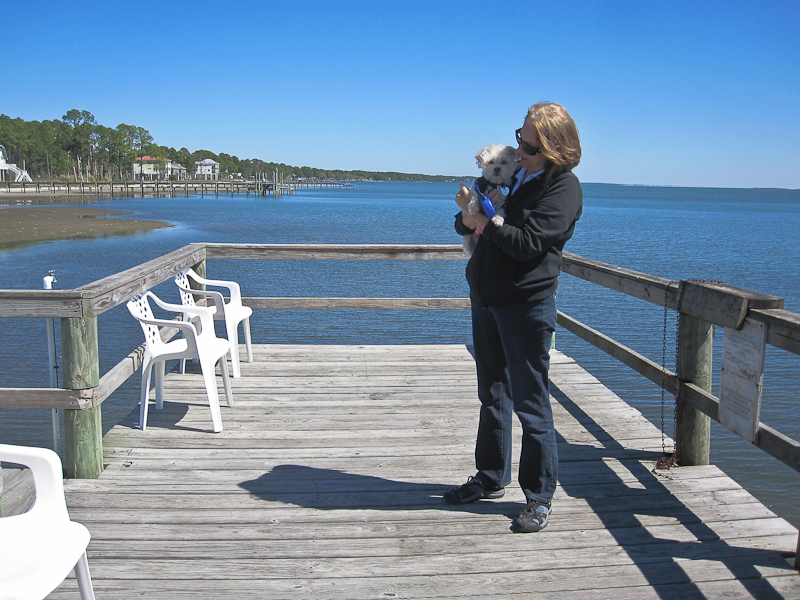 We spent a month at Mexico Beach just down the road from you last winter. The problem is that it rained and rained while we were there. It was gorgeous when it wasn't raining .... maybe we'll try it again someday.